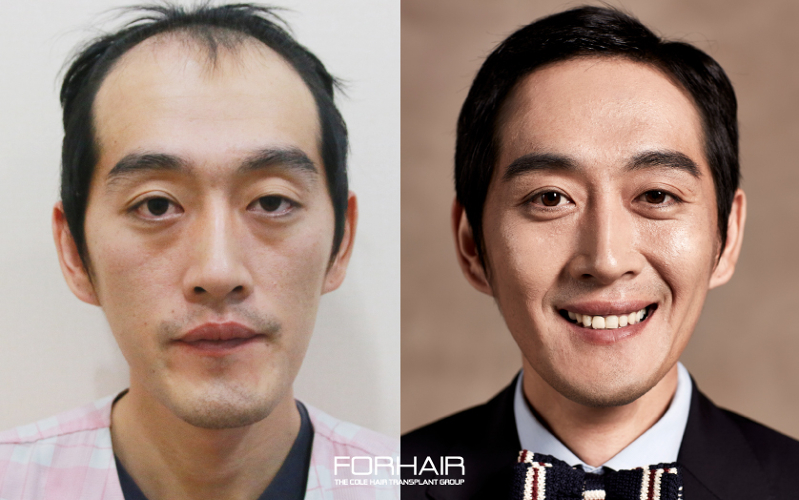 As the leading clinic for hair loss treatments in Korea, numerous Korean celebrities have visited our clinic to maximize their appearance with our treatments. 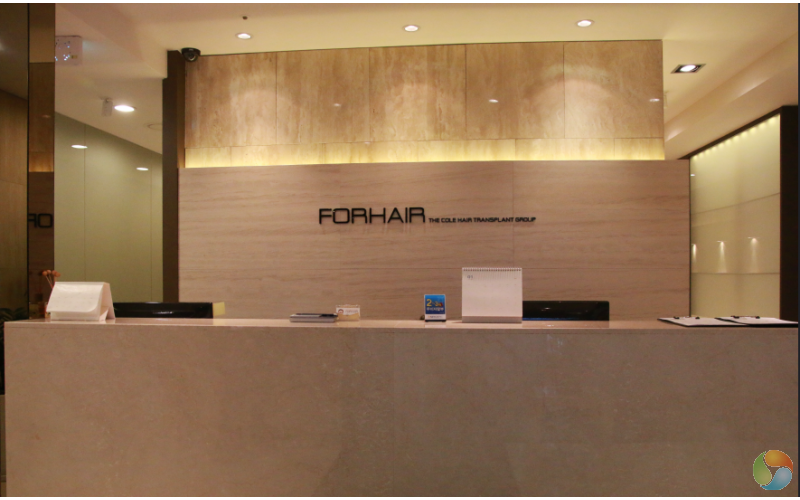 FORHAIR Korea is the Asia Headquarters of the “FORHAIR” Medical Group founded by World renowned Hair Transplantation doctor and developer of the CIT®, Dr. John P. Cole. Dr. Cole. 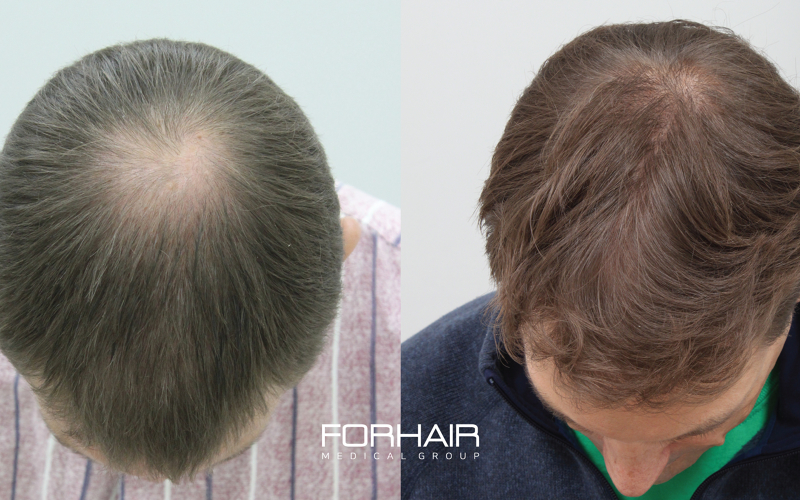 With 25 years of experience studying and treating hair loss, the medical team and staff at FORHAIR is dedicated on delivering the best results to restore the confidence of our patients. 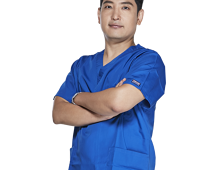 To make the experiences of our international patients a positive and as hassle free as possible, we provide translation services and accommodation reservation services to our international patients. 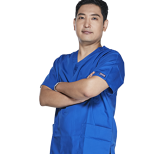 We also provide a fully personalized and individualized treatment plan and surgery by strictly performing surgery on one patient per day. 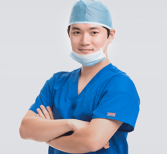 This allows us to fully focus on the needs and requirements of our individual patients resulting in optimal surgery results and patient satisfaction. 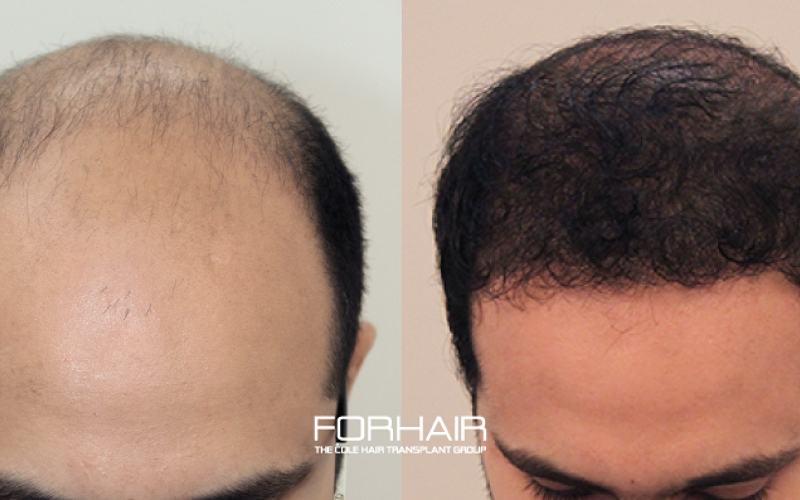 We promise you that we will push further with the pride of being the best hair transplantation center in the world. 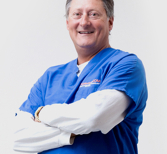 The FORHAIR Team is directed by, Dr. John P. Cole, President & Medical Director: with more than 22 years’ experience in medical business. 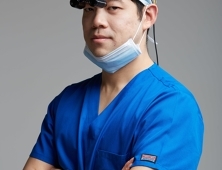 The team specializes in performing FUE (Follicular Unit Extraction) Hair Transplantation Surgery using our exclusive CIT® (Cole Isolation Technique) — a technique recognized internationally as one of the leading techniques in FUE surgery. 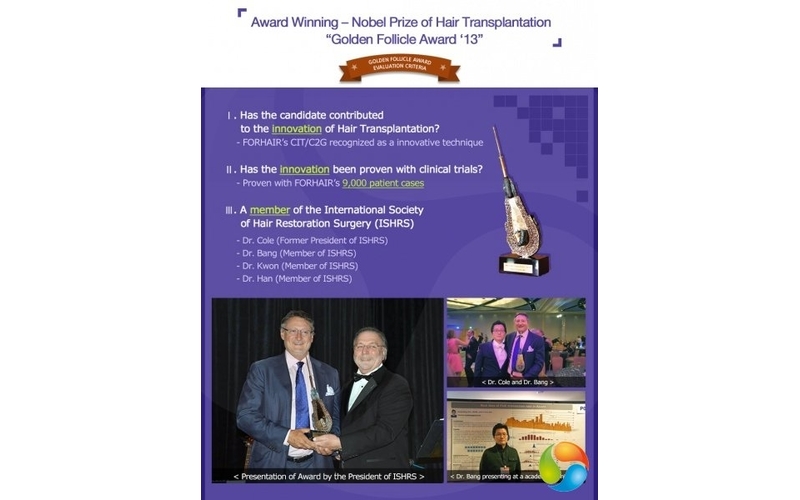 The CIT® technique has recently been recognized with the prestigious 2013 “Golden Follicle award”. 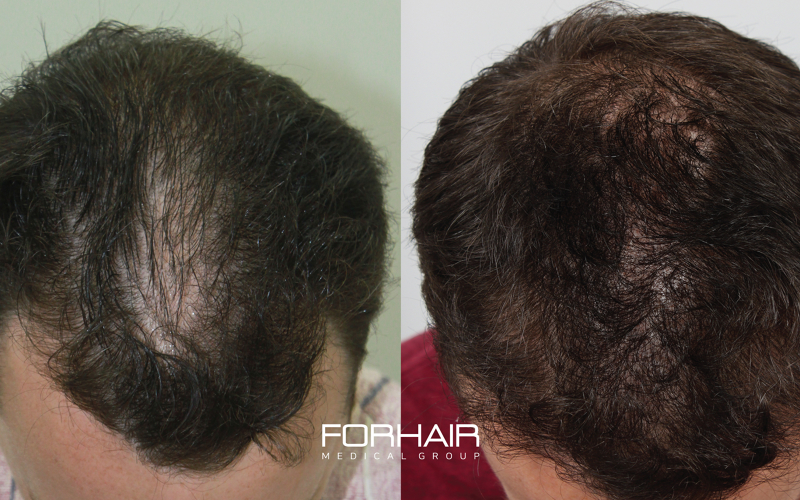 To provide the best possible solution for the hair loss for the lifetime. 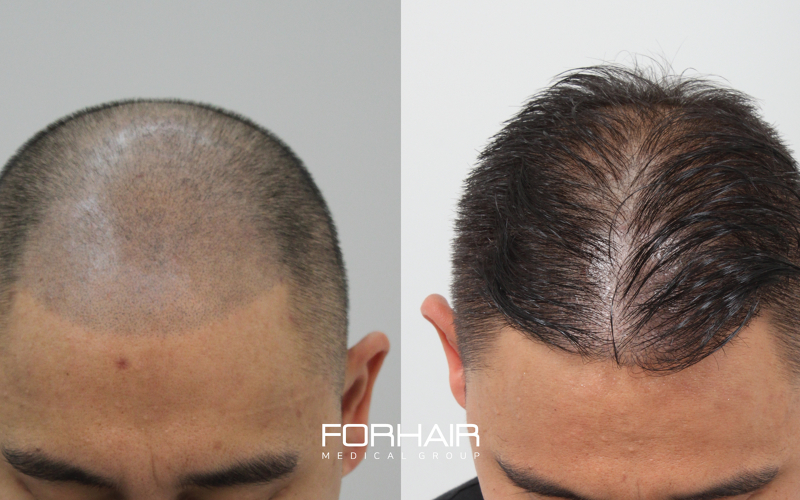 Our sights are set on establishing ourselves to be leaders in providing seamless, comprehensive hairloss solution of the highest quality, based on specific values, as well as to focus on creating and maintaining value for our people, patients, and shareholders. I was always concerned about my wide forehead since my childhood years. 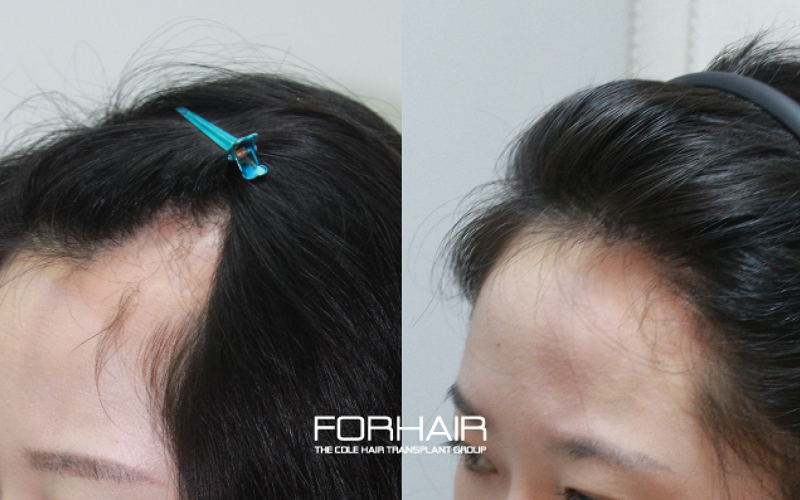 I was introduced to Forhair clinic by a friend of mine who already had her surgery few months prior. 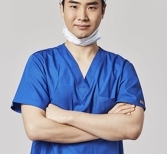 I did some research and decided to have my surgery at the clinic after reading that the clinic is recommended by other surgeons. 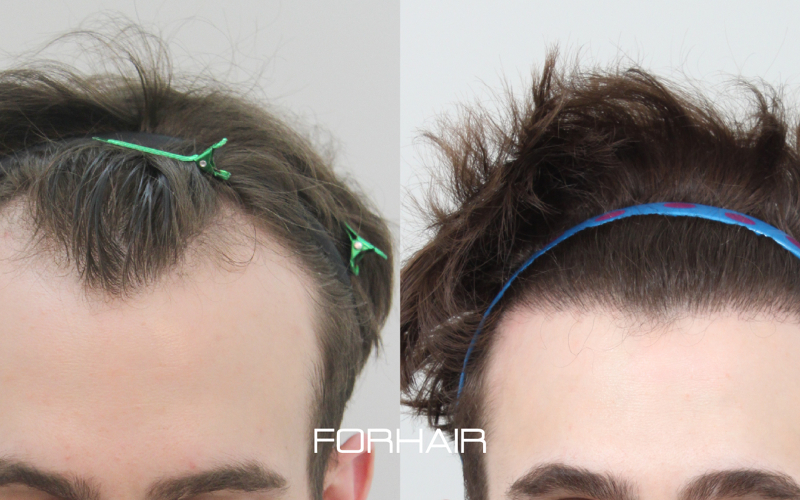 My whole experience at Forhair was amazing starting with the consultations. 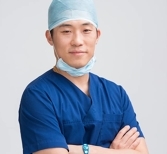 The consulting manager explained even the smallest details and Dr. Ryu was very friendly and professional during consultation and my surgery. 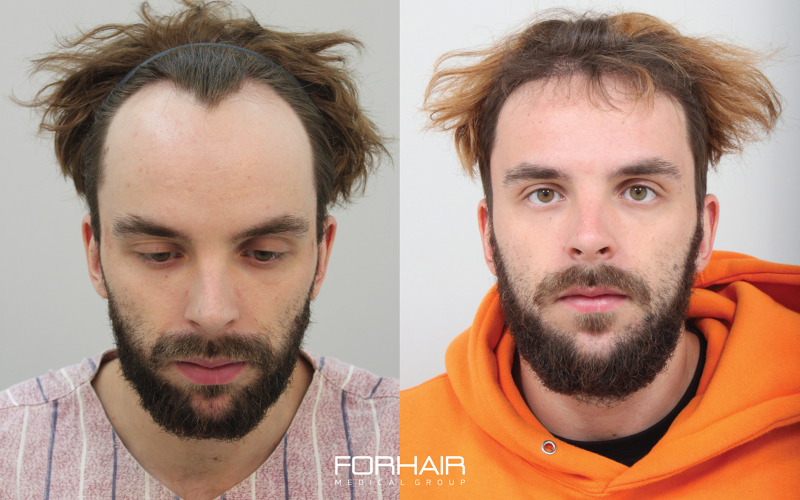 I had CIT(Box-Cut) surgery to lower my hairline. 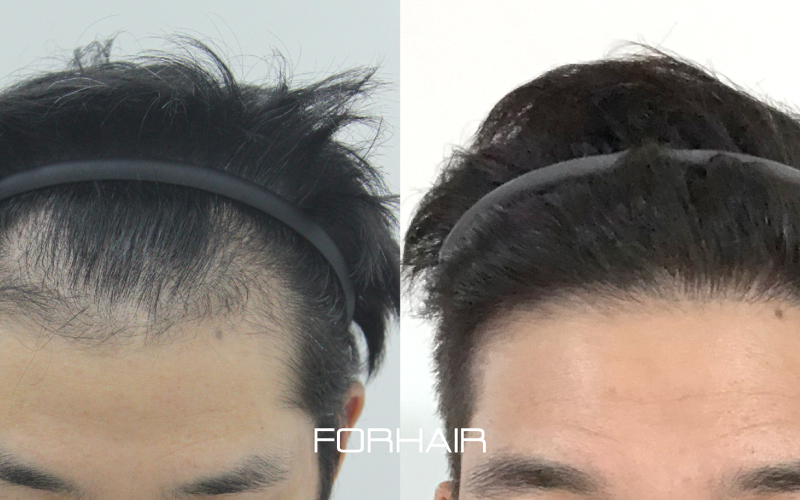 I was able to disguise the shaved area with my remaining hair so I was able to return to my normal life as usual after 2~3 days. 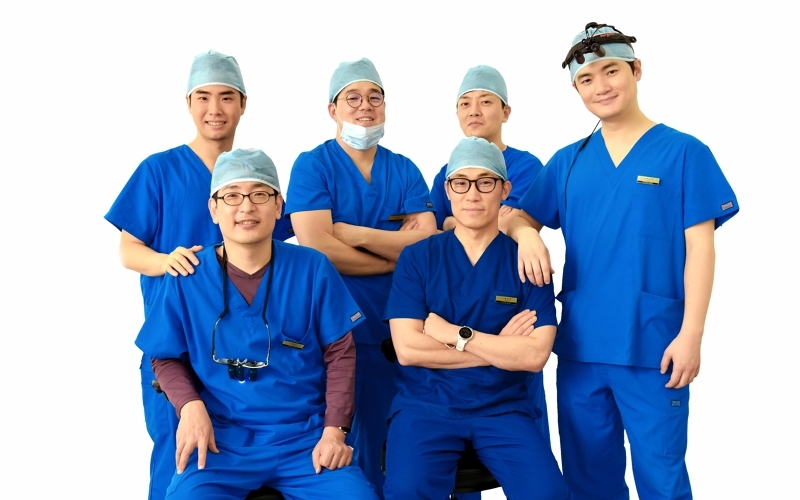 The surgery started at 9AM and finished at 6PM. 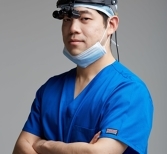 I was entertained throughout the surgery process with their TV system which allowed me to watch movies and past TV shows on demand. The Korean TV shows which did not have subtitles was a blow but nevertheless the experience wasn’t as daunting as I thought it would be. I had 2 surgeries over a year and a half period. 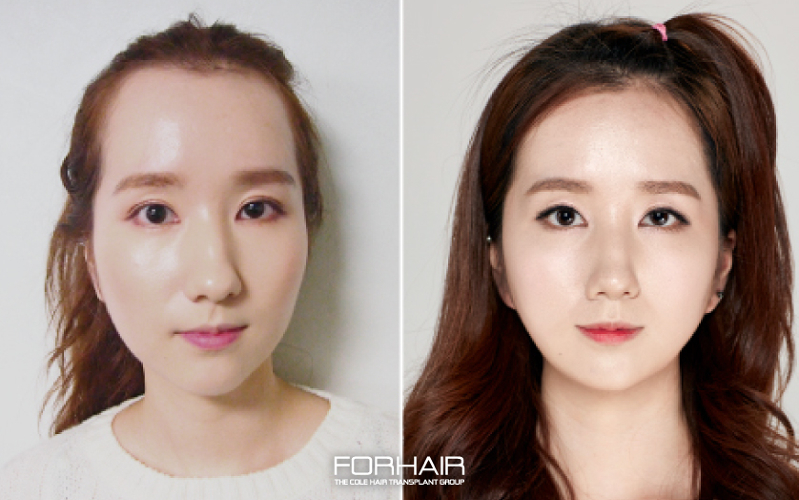 Both went well with little discomfort, stress, or another issue. Honestly, one of the biggest issues for me was not being able to wash my hair for several days! Also, I had to sleep in one position for a few nights, but this recovery time passes quickly. I went from semi-serious balding in the front and crown to a pretty nice, full head of hair. The doctors and staff were great. Thanks for outstanding results! 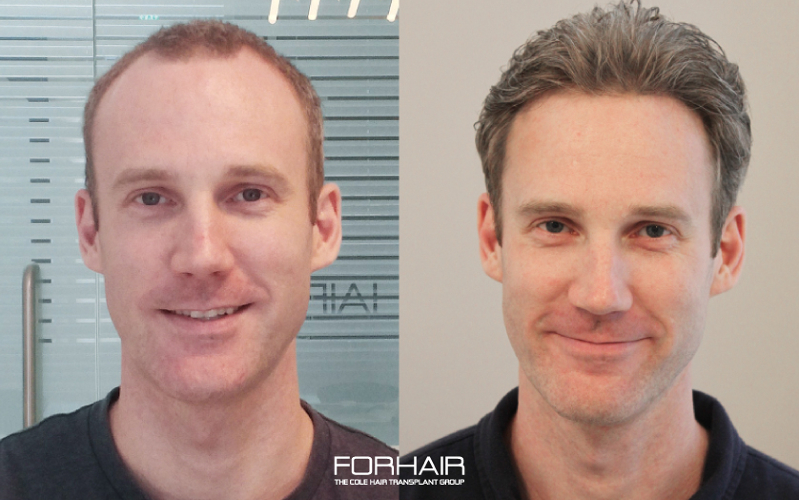 Overall, Forhair provided excellent service. They explained the process, answered my questions, and were there with me every step of the way. I would highly recommend them if you're considering this procedure. 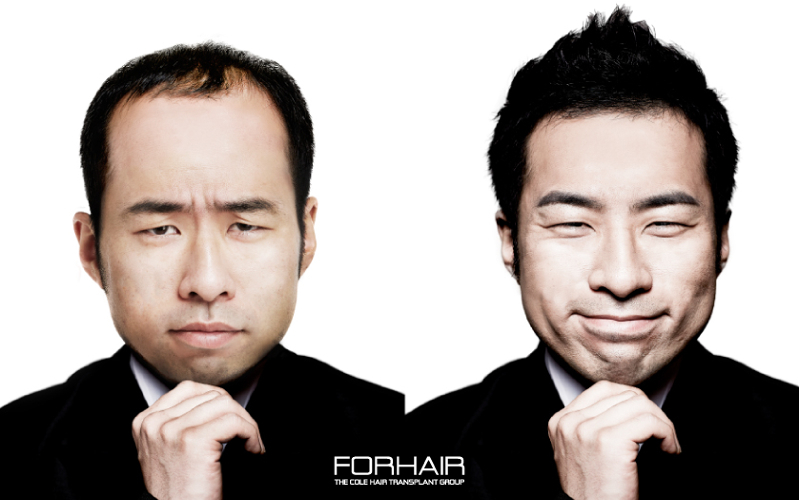 It's a difficult decision to make, but Forhair made it much easier. So far I am happy with my progress and I can’t wait till all my transplanted hair grows and I have my complete hairline. 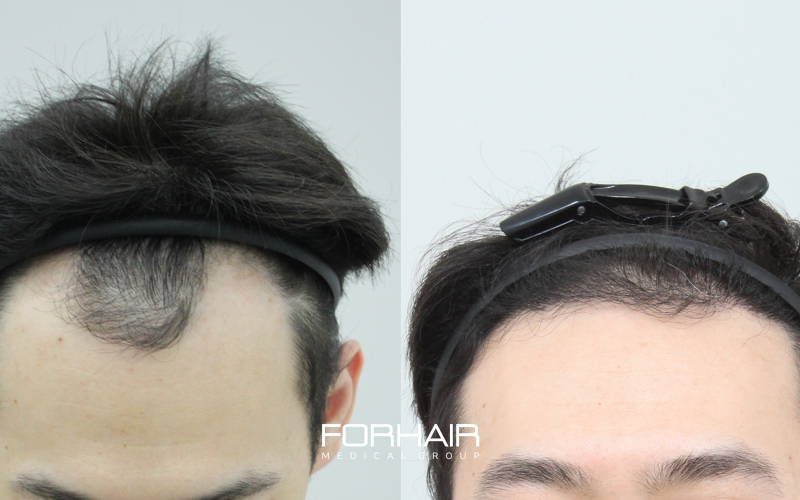 I am a 32 year old working male who had hair loss problem on the crown and the hairline. I had my consultation and surgery 7 months ago. 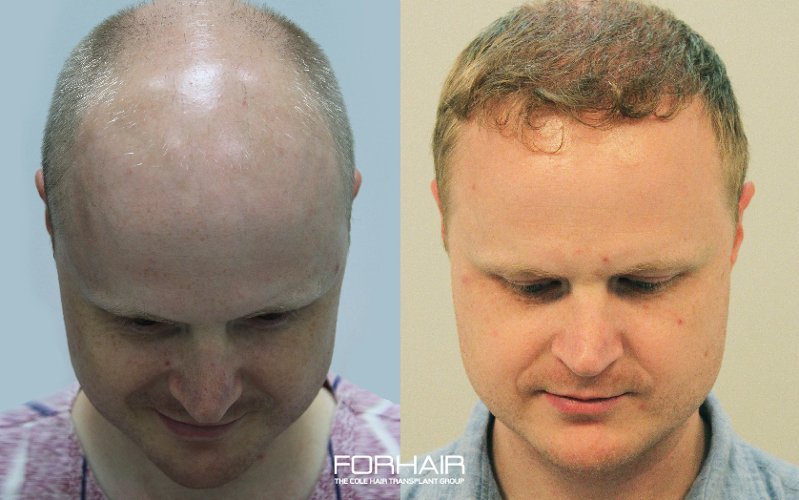 When I was in my 20s, I never dreamed in a million years that I would have a problem with losing my hair! However, I started noticing the recession of my hairline in my mid 20s and by the time I reached 30 my crown was also thinning. 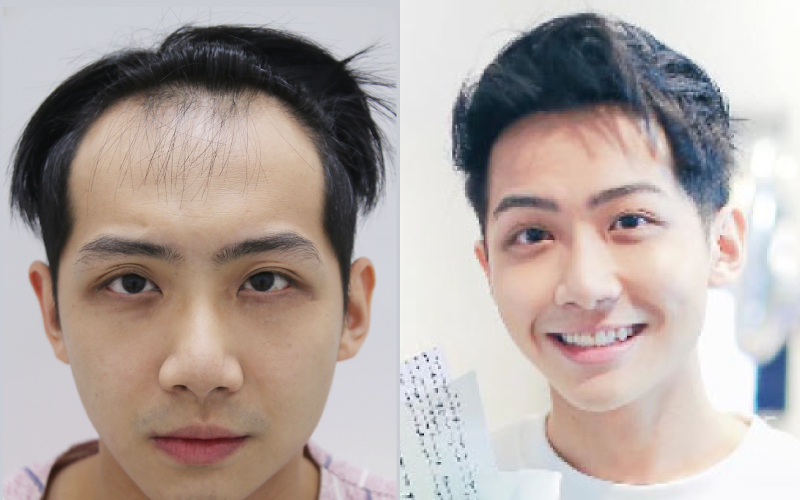 I think my irregular life style with drinking, smoking and high stress level contributed to my hair loss and I decided to do something because I was getting more and more depressed. 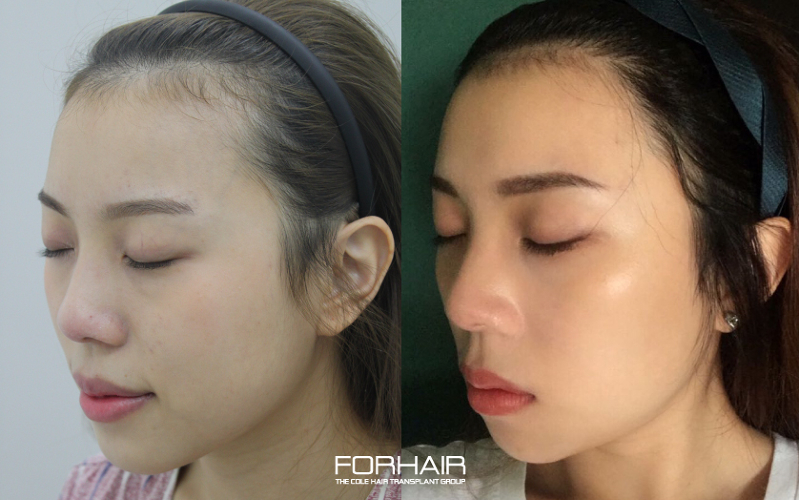 After doing a lot of research and visiting different clinics for consultations, I decided to have my surgery at FORHAIR. 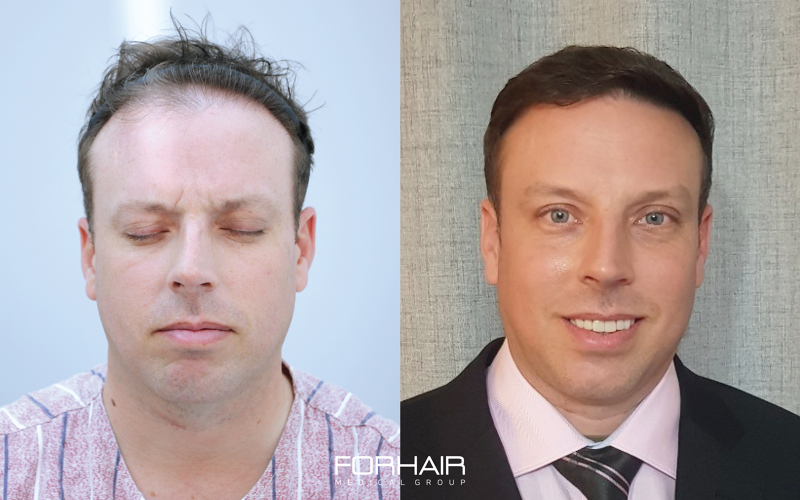 If someone was to ask me what 3 things in my life that I am most proud of, I can confidently say that one of them is finding the courage to visit and have my hair restoration surgery at FORHAIR. This is because my years of stress and agony were completely solved with this one investment. 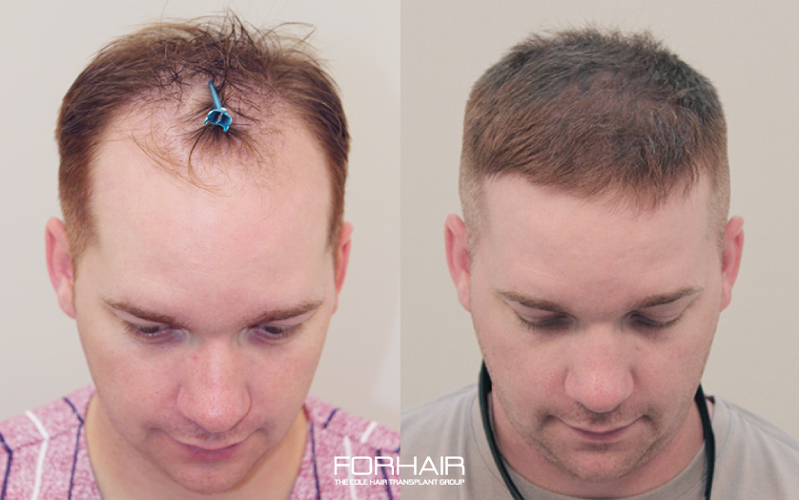 Hair loss sufferers don’t be shy! 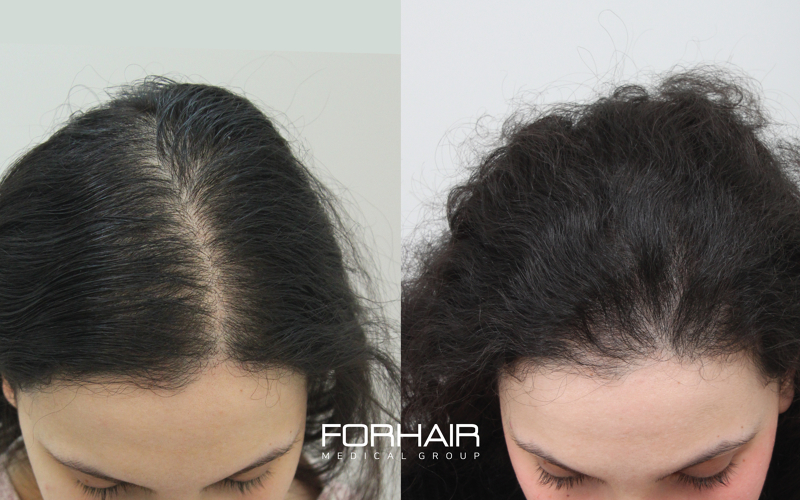 I strongly recommend that you intervene and restore your hair to its former glory. 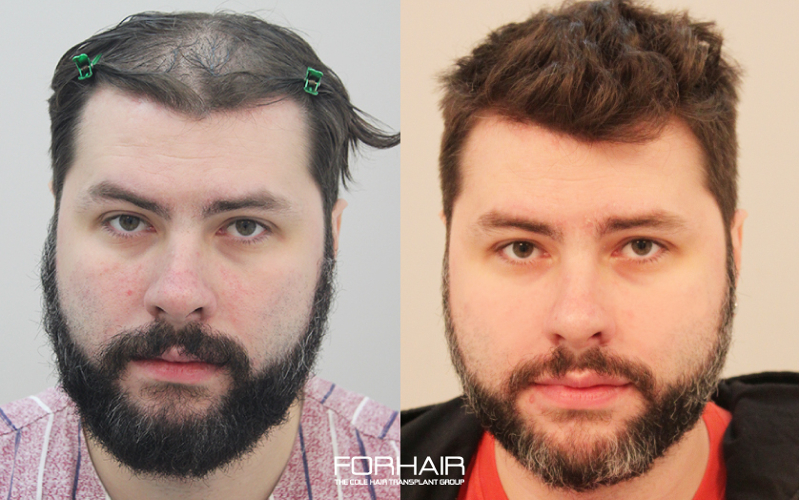 It is coming up to 11 months since my hair transplant surgery. 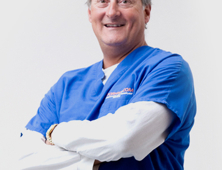 Prior to having the surgery, I was under extreme stress with comments that I looked in the late 50s. (I’m in my early 40s.) I made my decision after continuously being disappointed with myself for not having the confidence to go out and enjoy life because I was dissatisfied with the way I looked. 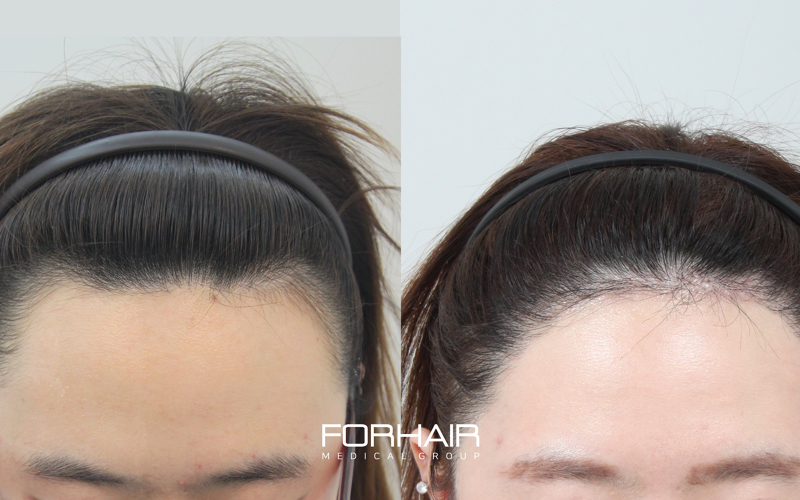 The cost was not a factor for me when deciding FORHAIR as I had confidence that I would be getting the best medical attention I could get in Korea. 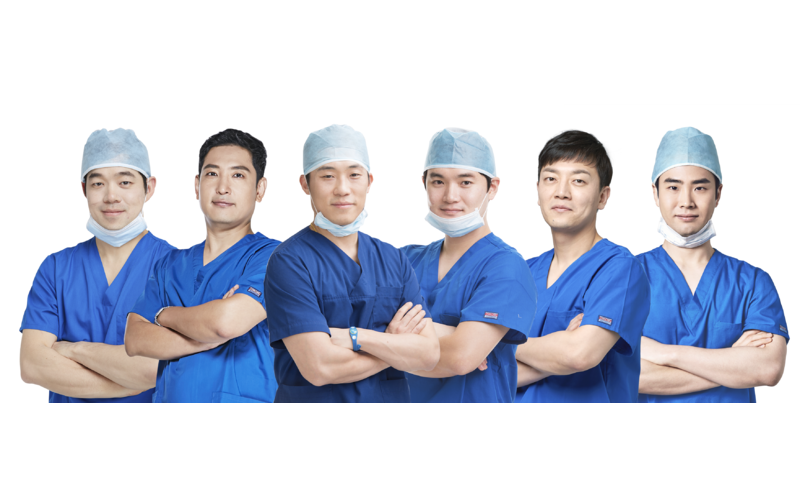 Korea’s first American franchise clinic! 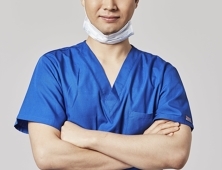 1:1 individualized surgery plan! Low graft damage rate / high engraftment rate! 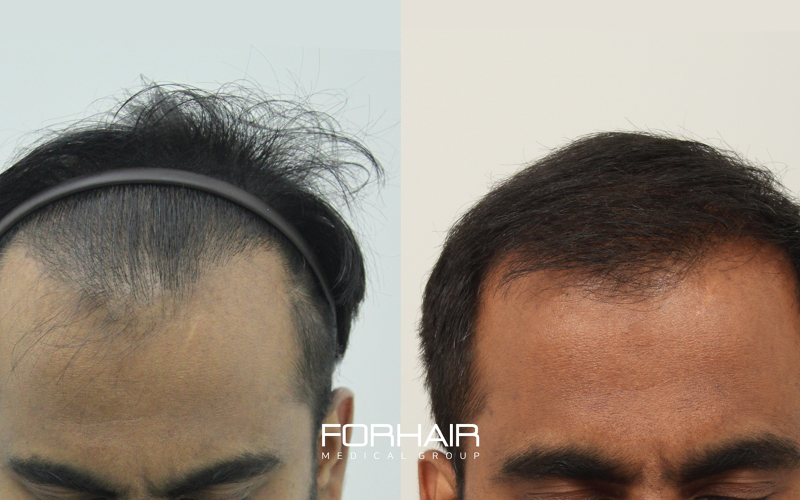 Were few of the factors that pulled me into FORHAIR. At my 11 months mark, I am seeing improvements day after day and I have shown greater than 90% engraftment rate. What I am most excited about is that people are now seeing me for my age and I have regained the confidence to go out and enjoy my life. 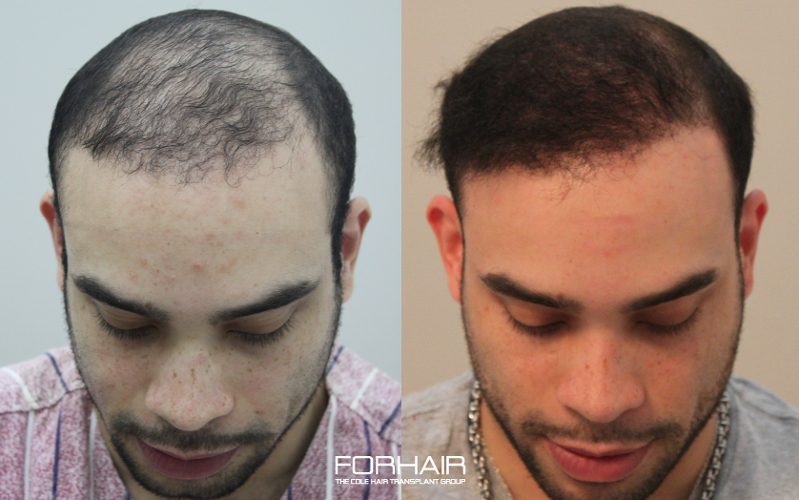 For those of you that are considering hair transplant surgery at FORHAIR, I would like to advise you to go for it because it will be a decision that you will not regret! 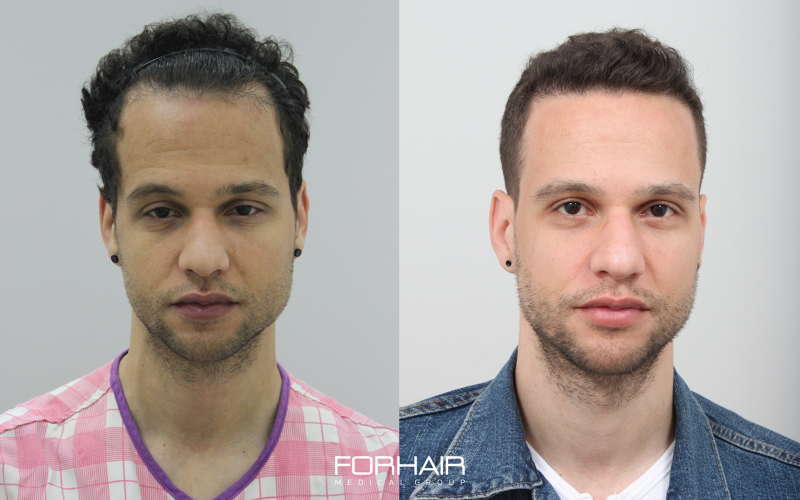 I am in my 20s and I decided to go in for a consultation at FORHAIR after stressing about my wide forehead. 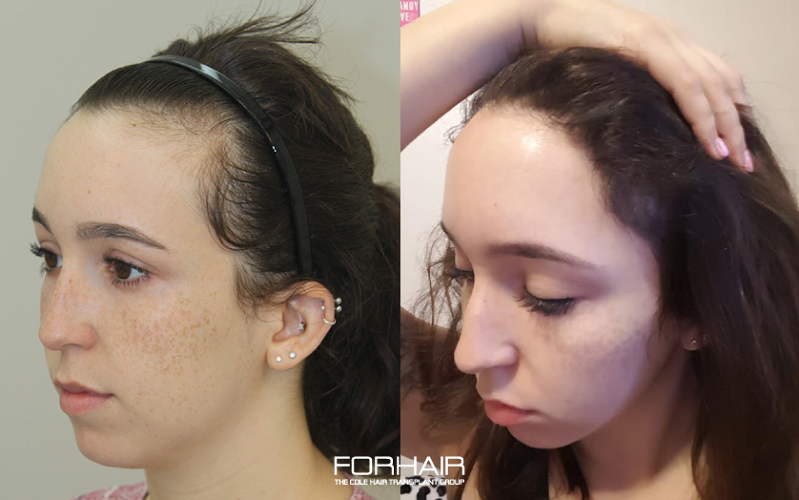 It has been a year since I anxiously visited FORHAIR for my surgery and I am ecstatic with the results! 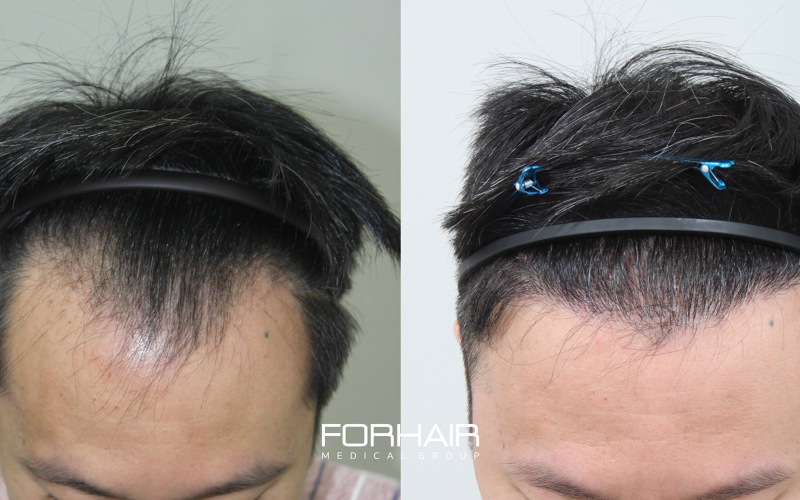 Prior to choosing the clinic I did a lot of researching but I was put off by the FUSS method so chose FORHAIR’s CIT surgery. I heard that the local anesthesia shots hurt the most so my heart was pumping when the surgeon went in for the jab! The anesthesia was administered from the back scalp to the front, but it didn’t hurt as much as I expected. Lunch was provided and there was an entertainment system in the surgery room so I was entertained throughout my 7 hour long surgery. The entire procedure was very comfortable. 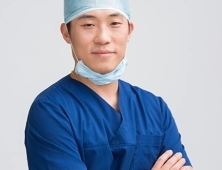 Following surgery, accommodation was provided by the clinic so I was able to rest comfortably. The recipient area was itchy for 3~4 days after surgery but other than that I didn’t experience any pain. 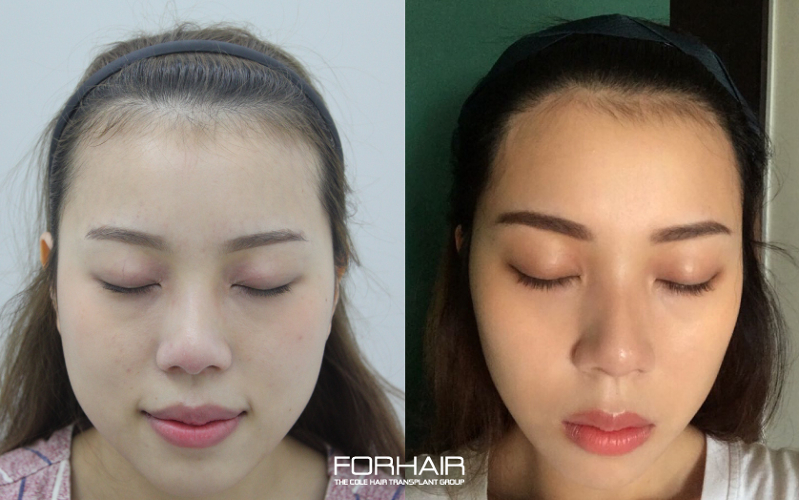 Now 1 year after my surgery, I am extremely satisfied with the result and I would like to thank everyone at FORHAIR for being so helpful and kind. South Korea offers visitors a unique and beautiful landscape to explore. 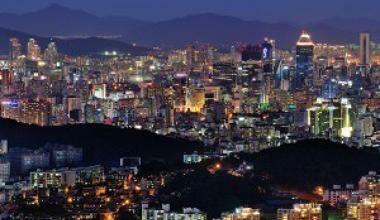 The capital of Korea is Seoul, which celebrates over 600 years of history. 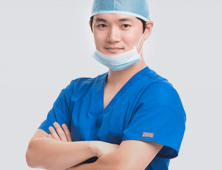 It is the heart of Korea’s culture and education as well as politics and economics. Seoul boasts many historic sites like Gyeongbokgung and Changdeokgung Palaces, and a flavor of traditional culture in Bukchon Hanok Village, Insa-dong, and Namdaemun Market. Be sure to visit the entertainment districts of Myeongdong and Apgujeong, and Asia's largest underground shopping center COEX Mall. The Hangang River, which runs through the center of the city, is also a distinctive landscape of Seoul. South Korea is renowned for its traditional and spicy kimchi, bibimbap — that is a cooked-at-the-table barbecue. From fusion to pork to a more decorated plate, South Korea provides a taste for every palate. Dishes sure to delight — Spicy Fried Chicken and Stuffed Peppers at Hanchu Fried Chicken, Kimchi Carnitas Fries at Vatos Urban Tacos, and Braised Pigs’ Feet. 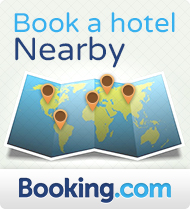 Seoul offers world-class hotel resorts, affordable guesthouses, and traditional Hanok lodging. With lavish accommodations right at your fingertips, there are a number of large-scale resorts and upscale villa offering swimming pools, spas, golf ranges, and yachting adventures. The Grand Hyatt Seoul is located in the heart of South Korea's capital city and is set on the historic Mount Namsan amid 18 acres of waterfalls and landscaped gardens.